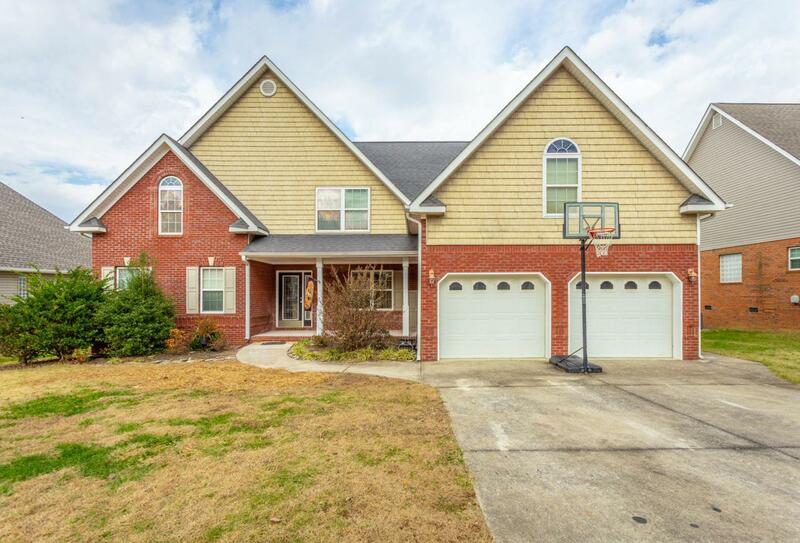 Large home with terrific floor plan zoned for Heritage schools! As you enter the front door you'll immediately notice the hardwood floors, high ceilings and the open dining area. The living room is open to the kitchen and also features a gas fireplace. The kitchen is spacious and open, with stainless steel appliances and an eat-up bar. The master bedroom is on the main level with specialty ceiling, double vanity, separate shower and jetted tub and a large walk-in closet. Upstairs there are two large bedrooms, a huge bonus room that can also be a 4th bedroom and an office space. Outside there is a large screened in porch, a grilling deck and an extended patio that's perfect for entertaining, and there is still plenty of level yard to play in! All of this just minutes from Fort Oglethorpe,Ringgold and Chattanooga!